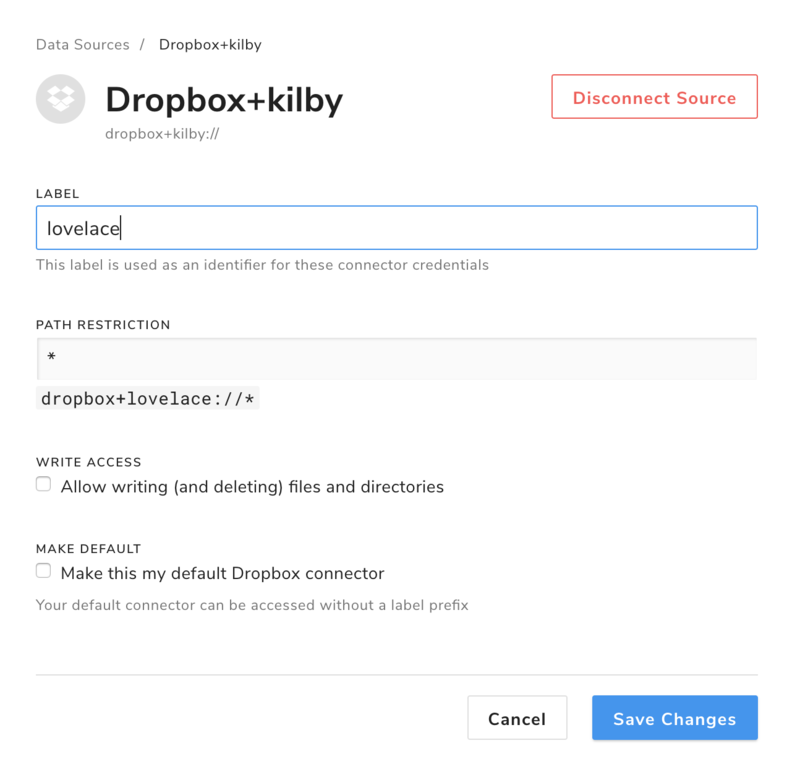 Here you’ll learn how to connect and access your Dropbox account in a few easy steps. 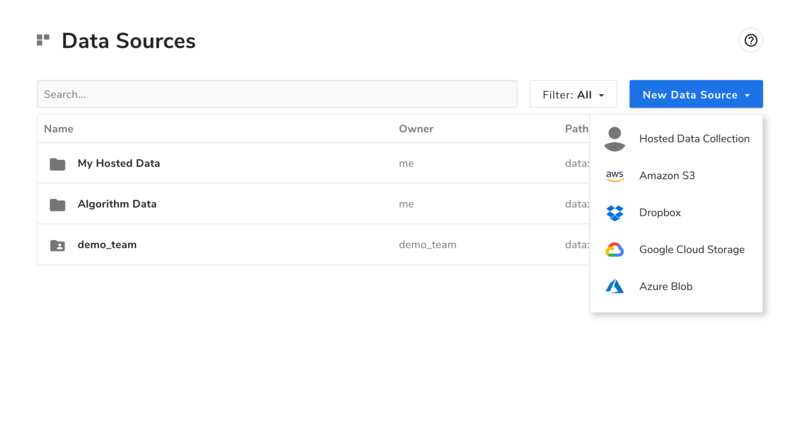 This guide will tell you how to configure and connect to your data source and provide details about setting various permissions. All data sources have a protocol and a label that you will use to reference your data. 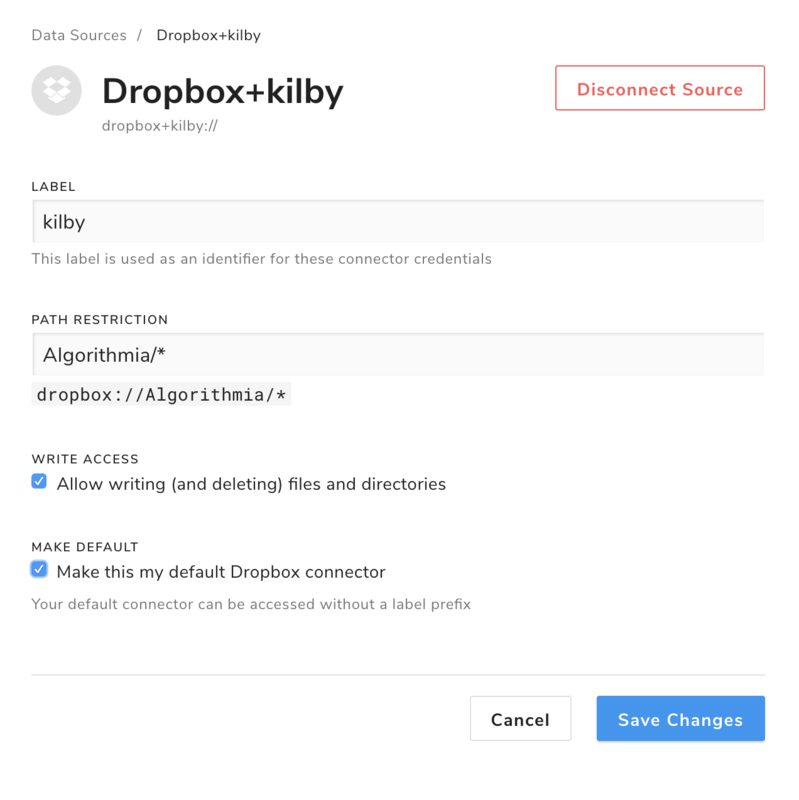 For instance Dropbox is the protocol we’ll use in this guide and the label will be automatically assigned to your data connection as a unique identifier, but you may change it later if you wish. Select ‘Dropbox’ and you will be prompted to login to your Dropbox account. You’ll be asked if you want to grant Algorithmia access to your account via OAuth authentication. Once that’s done a new panel will be created which will have the Dropbox icon on it and a unique label for that Dropbox connection. 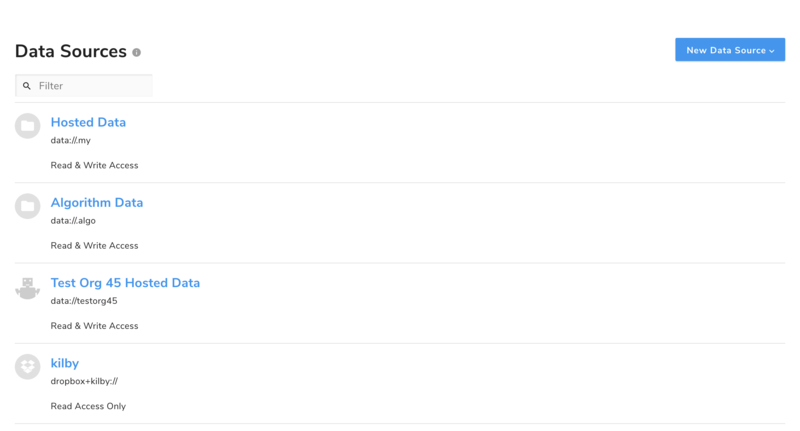 Set path restrictions and manage the read and write permissions by clicking the label of the data connector that was just created. NOTE: the unique label on your new Dropbox connection follows the protocol: ‘dropbox+unique_connection_name://*’ that defaults to allowing everything to be accessible in your Dropbox path. Note We create these unique labels because you may want to add multiple connections to the same Dropbox account and they will each need a unique label for later reference in your algorithm. The reason you might want to have multiple connections to the same source is so you can set different access permissions to each connection such as read from one file and write to a different folder. 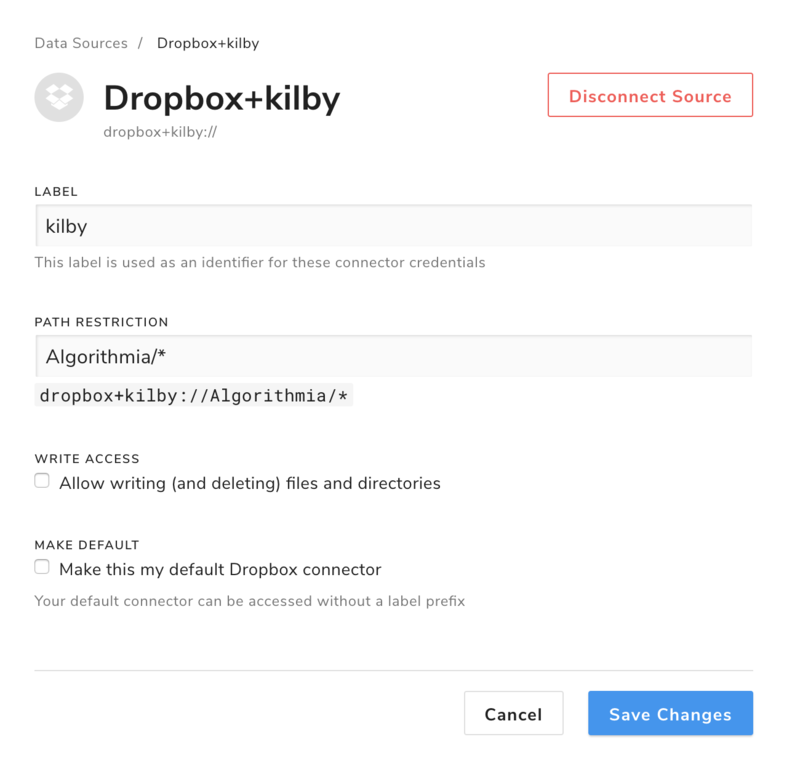 The benefit to setting a data connection as your default Dropbox data source is when you choose ‘Make Default’ you can access this data source by a shortened path: ‘dropbox://’ rather than: ‘dropbox+your_unique_label://’. 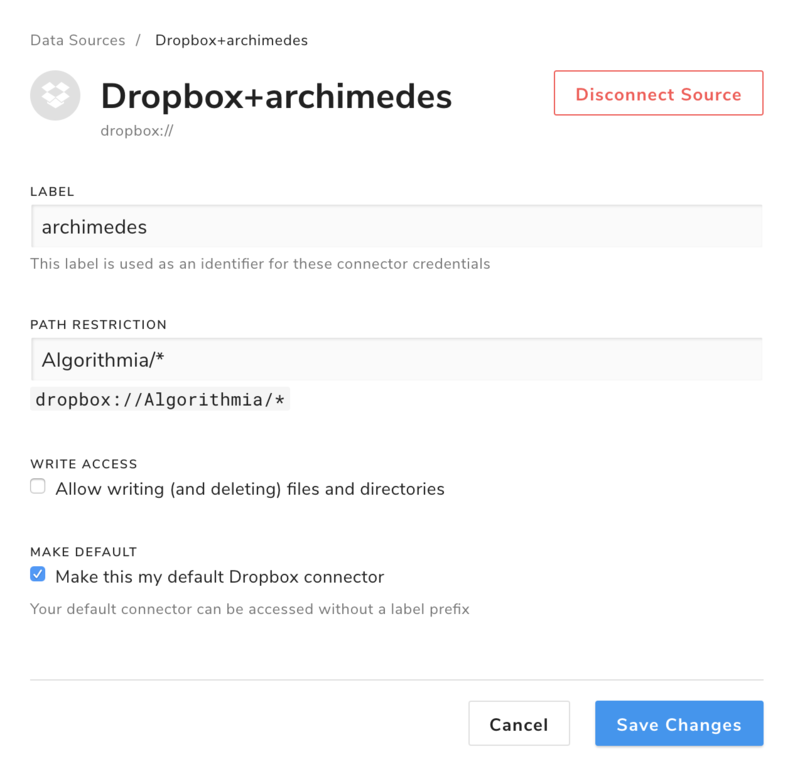 In the example below, ‘archimedes’ is the default Dropbox data source’s unique label, the path restriction is set as ‘Algorithmia/*’ to access all files in the ‘Algorithmia’ folder and it can be accessed via the path: ‘dropbox://Algorithmia/*’. NOTE: If you call an algorithm it can only access your data source. This means that it is NOT possible for an algorithm to read data from your Dropbox and write that data to an account controlled by an another algorithm author. Algorithms do NOT have direct access to any credentials associated with your data sources, and can only access data from a data source using the Algorithmia API.